The ANSI certified LED Flashlight is the latest handheld light designed by and in support of the professional industries. But this model is also designed to be compact and affordable enough to be carried by everyone. The model is the first to use the revolutionary Cree XM-L that is the most efficient LED on the market. 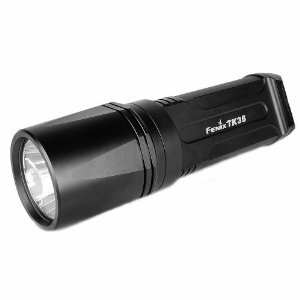 This LED allows the LED Flashlight to power itself up to 820 Lumens of brilliant white light in a unique flat bodied design that fits in the palm of your hand and can be worn or carried everyday. It is also equipped with a dual tail switches for easy operation. The first switch powers the light on and off while the second cycles the LED Flashlight through it’s 6 modes that include four levels of brightness, SOS and emergency strobe. On turbo mode this remarkable waterproof handheld device will reach over 300 meters; and on low mode will last 170 hours before needing to replace batteries.